Custom Theory Course are offered to provide bespoke theory/shore based training to suit your needs. We can put together any package, from an hour or two right up to several weeks, depending on your requirements. 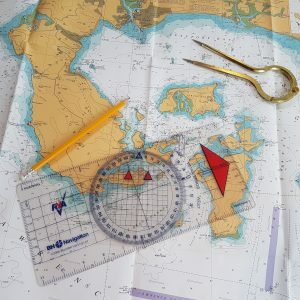 Previous customers have included defence personnel requiring a completely customised course, an existing Day Skipper Shore based certificate holder requiring a brush up and update before returning to sailing after a break, a couple who recently purchased a motor cruiser and required a run down on the electronic nav systems on board and basic navigation without committing to longer courses, and many more. Please drop us a line with your requirements, or your objectives, and we will be happy to put together a package for you. Course materials, Charts, Chart plotter simulators, Plotters, Dividers, Compasses, DSC Simulators, Radar Simulators, Tea, Coffee.